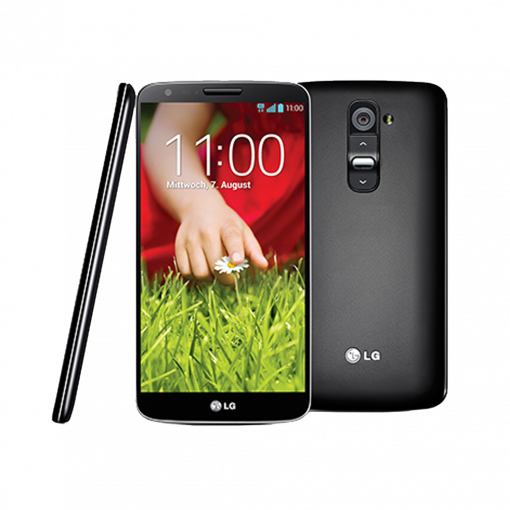 Sell LG G2 | How Much is My LG G2 Worth? Select the information above in order to receive an accurate quote for the LG G2 you want to sell. Click sell item if you agree with the price that is displayed. GreenBuyback purchases cell phones, tablets, and laptops at the highest prices in the industry! GreenBuyback pays cash for your old cell phones, tablets, and laptops. When you sell your cell phone, tablet, or laptop to GreenBuyback you will never have to pay shipping. GreenBuyBack is dedicated to maximizing the cash back to our customers. Sell your LG G2 for cash today! This 5 ounce LG touch screen phone with a 5.2 inch high definition display screen has 32 GB of internal memory and a long-lasting battery life. It features a high quality sound system, live zooming for video playback, and and smart video, so the video automatically pauses when it detects eyes are not looking at the camera. The LG G2 has both a front and rear facing camera with optical image stabilization for quality low-light photography. GreenBuyback will buy your LG G2 in any condition, simply head to GreenBuyback get a quote, send your phone in, and get cash quick! The G2 also has Cheese Shutter, so you can use voice commands to take a photo. The LG G2 supports QRemote, with compatibility with televisions, set-top boxes, Blu-ray players, and more. The LG G2 is ideal for travel, as it features Quick Translator and Quick Memo. Selling a LG G2 Smartphone is so easy with GreenBuyback; after accepting the quoted price, send your LG G2 phone to GreenBuyback with free shipping and you’ll get cash quick!